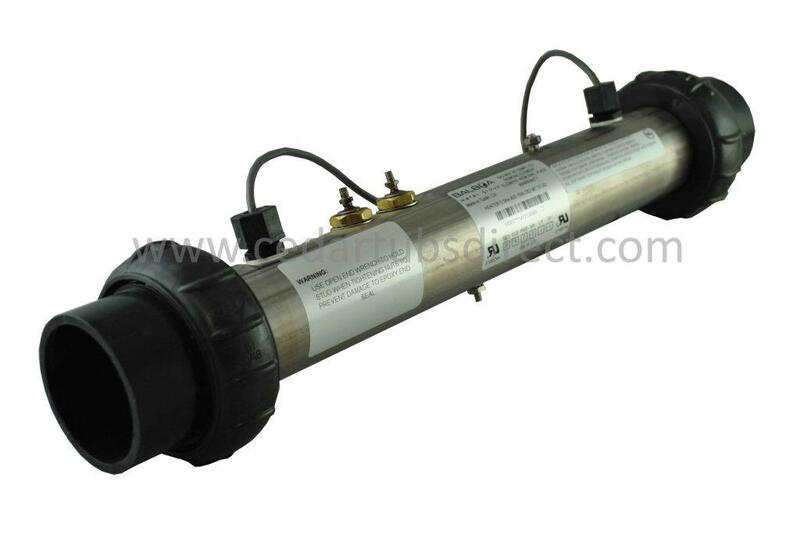 PN 58083 is the most common heater tube assembly used in Balboa's VS and EL, and BP line of spa packs. This unit comes complete with sensors. Heater tube is 800 Incoloy and is in a Stainless Steel Tube 2" dia x 15" long. Heater element produces 5.5 kW at 240 V and 1.375 kW at 120V. 2" slip tail pieces, gaskets and split ring nuts are supplied. Comes with 1 year warranty. 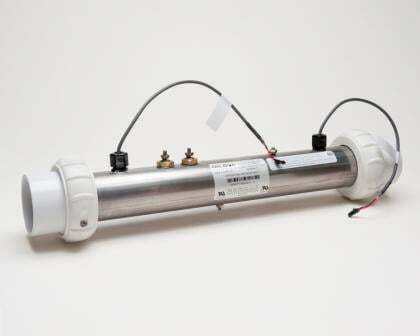 The 58083 Balboa Spa Heater Assembly is the current replacement heater tube for all 5.5 Kw EL, VS, BP spa packs.